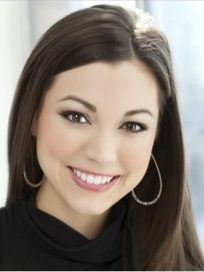 Chanley Painter, a lawyer, former Miss Arkansas, fashion model, black belt in taekwondo, champion fiddler and Clinton School of Public Service graduate, packs a resume so impressive that KARK-TV News Director Austin Kellerman once thought her overqualified to be a TV reporter. He hired her anyway, and after three years at Channel 4, Painter will go to work as a legal correspondent for the new Court TV, an early cable TV powerhouse that’s being relaunched by E.W. Scripps Co. in May. Scripps acquired the Court TV name and program library recently from Turner Broadcasting. Court TV will be based in Atlanta. “Chanley has done a lot of things, and done them well,” Kellerman wrote Tuesday in a blog post. Her post at the revamped Court TV, which helped launch the careers of big-name network journalists like Savannah Guthrie, Cynthia McFadden and Terry Moran, is a “pretty good gig for an attorney turned reporter, huh?” Kellerman asked. Painter worked as a deputy prosecutor and a lawyer in private practice before going to work for the Little Rock NBC affiliate. Her law degree is from the William H. Bowen School of Law at the University of Arkansas at Little Rock. Court TV, which made its debut in 1991, made its name covering big trials like William Kennedy Smith’s and O.J. Simpson’s. Later, it lost viewership as cable offerings multiplied.